Information about the Italian state's "Strategy of Tension" policy in which it carried out terrorist attacks against its own people in order to blame the left and anarchists. "[S]ome fascists in the group of terrorists in question worked for the Carbinieri (the Italian military police) , that others had contact with the army or the police and that they received valuable and timely information in the progress of investigation into their activities"(1) - From the report of an Italian parliamentary committee of inquiry. "The workers struggles of 1968-69, Italy's Hot Autumn, deeply engraved the economic structure of the country and modified the balance of forces. After these struggles, the Left was stronger and power weaker. . . .objectively. The damage provoked by the workers insubordination was very serious indeed"
"Even before '69 many militant and autonomous struggles developed, in particular Pirelli in Milan, neither controlled by the Unions at the level of organization nor dominated by them at the level of the content of the demands. Tangible wage increases, plus less work were the two main themes of that period. The behaviour of the proletariat can be summed up in the slogan of the period: Better wages, shorter hours!. On December the 12th 1969 the bombing began, with one bomb in Milan and three in Rome. The bombs in Rome left eighteen wounded, the bomb in Milan killed seventeen and injured eighty-eight. Police acting on information from S.I.D. (intelligence agency) arrested two anarchists for the Milan bomb, later murdering one of them, Giuseppe Pinelli, by throwing him out of a police station window and claiming suicide - an act made famous by Dario Fo's play Accidental Death of an Anarchist. Despite mounting evidence that this was a fascist bomb, the official party line for years afterward was blame the anarchists. Later the Establishment view changed and the idea that this was a joint operation between anarchists and fascists is propounded! Eventually a number of fascists are tried, convicted and imprisoned but others are acquitted, as is the surviving anarchist. One of the bombers acquitted for "lack of evidence" was Guido Giannette an S.I.D. agent. When Giannette became a suspect, the secret state sent him out of Italy and continued to pay his wages after the arrest warrant had been issued. In twelve years from 1969 to 1980 4,298 terrorist incidents took place. Of these fascists were responsible for 68%, as well as most of the deaths. The basic pattern repeated again and again is as described above, the left is blamed, there is a high degree of collusion and those responsible usually get off scot free and with a hell of a lot less international political and media attention than the famous Red Brigades. In September 1974 the head of S.I.D. (secret service) Vito Micelli was implicated in an attempted fascist coup d'etat in 1970 - after a secret report from his own agency reached the Prime Minister's desk. He then nailed his colours to the mast and stood and won as a M.S.I. (fascist) parliamentary candidate. 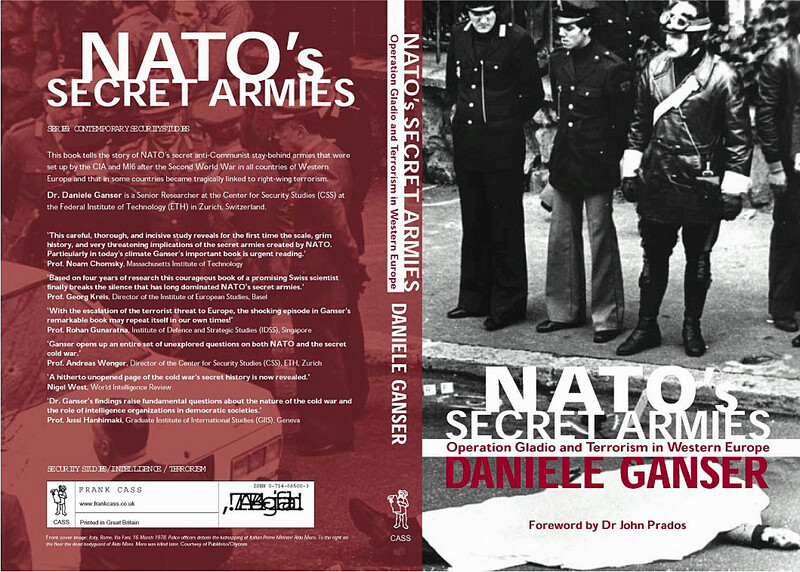 All this time the covert neo-fascist army, Gladio which was set up in the wake of World War 2, was also lurking in the background. By 1977 S.I.D. was so embroiled in scandal that it was replaced by a 'new' secret service - S.I.S.M.I. . Then came what was at the time the worst single terrorist atrocity in European history. On the 2nd of August 1980 a bomb exploded in the second class waiting room of Bologna railway station. Eighty-five people were killed and over two hundred wounded, Bologna was a Communist Party electoral stronghold with a powerful workers’ movement and had been targeted previously. Ten years later a number of S.I.S.M.I. officers were on trial for this atrocity, they included a General Secretary, a General and a Colonel. Their convictions were later quashed. As we have seen these were by no means the only incidents of far-right terror and state collusion with it in Italy at that time, for example repeatedly the secret services created false trails of evidence leading away from the perpetrators of rightist violence. One might wonder what motivated it and indeed what motivated the virtually indiscriminate terror itself, the whole story would have remained in the realms of conjecture and could be dismissed as speculation but for chance. During investigations into a banking scandal police searched the home of Licio Gelli. Gelli had fought for Mussolini's reborn Roman Empire in Spain, Yugoslavia and Albania and when Italian fascism crumbled he joined the Nazi S.S.. After the war Gelli worked on the 'Ratlines' - the Vatican and C.I.A. sponsored escape routes for Nazi fugitives. Later he dealt arms in Latin America and reputedly became the linkman between the C.I.A. and Juan Peron the Argentine dictator. Searching his home, the police came across a list of over six hundred names and evidence linking them to a Freemason group called Propaganda-2 or P-2. Now freemasonry or any other oath-bound secret society is illegal in Catholic Italy, but of course totally unremarkable this would be but for the membership of P-2. This was the P-2's plan, by means of terror in the style of agent provocateur promote a law and order agenda and provide a pretext for a clampdown on dissent and worker's struggle, if necessary a coup d'etat would be part of this. However given that P- 2 constituted a 'State within the State', a coup would be the option of last resort and would happen if for instance the Communist party entered a coalition government. Such a coup would have undoubtedly involved Gladio, another organisation in the murky shadows of Italy's secret state sharing the same ends and means as P-2. The Italian state’s Strategy of Tension shows how the elites who govern us and profit from our labour will stop at absolutely nothing to maintain their power and wealth, even resorting to terrorism against their own populations in a “democratic” Western state. Any people wanting a better world today should take note, and be prepared. 1. Quoted in 'The Darkside of Europe' by Geoffrey Harris page 113. 2. 'The Ripening of Time no.12: Italy Documents of Struggle' page 11. 4. including Silvio Berlusconi, later to be Italian Prime Minister . Berlusconi was head of Group 17, P2's media section tasked with influencing public opinion and with P-2's help moved into the television business , his companies now dominate the Italian media and have been instrumental in his election success in a coalition with the 'National Alliance' a split from the old fascist party . The media in Italy continues to link the modern radical left with the 'days of lead', with i.e. the terrorism of the 70s. No comment necessary. Thanks a lot for putting this up, it's really interesting stuff. Where else would you suggest I look for more on this?